It was working just few days ago its strange how come its not working now. I got pass that secured connection failed error message but crawling got stuck at Please wait. 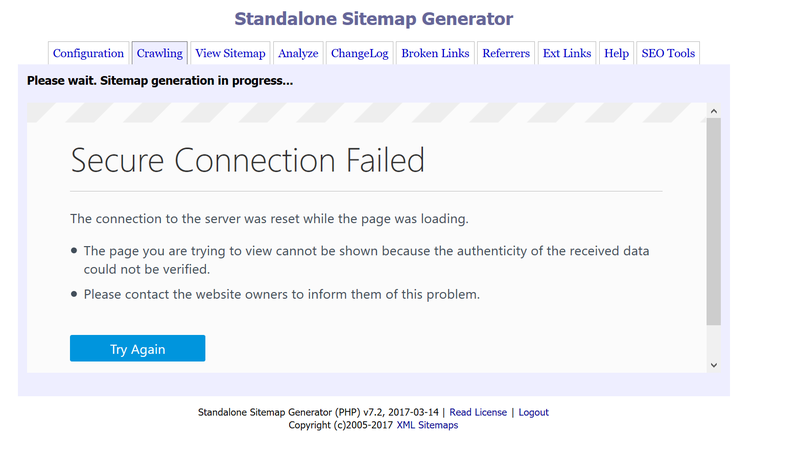 Sitemap generation in progress screen. it means that the script was interrupted and you need to update settings mentioned above. Thank you for your help, i have contacted hosting support they have resolved the error.